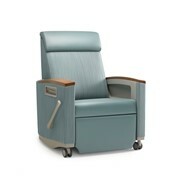 With the Ava Recliner, Herman Miller Healthcare introduces a lighter, more inviting seating option that is both intuitively comforting and comfortable for patients even when sitting for long stretches. 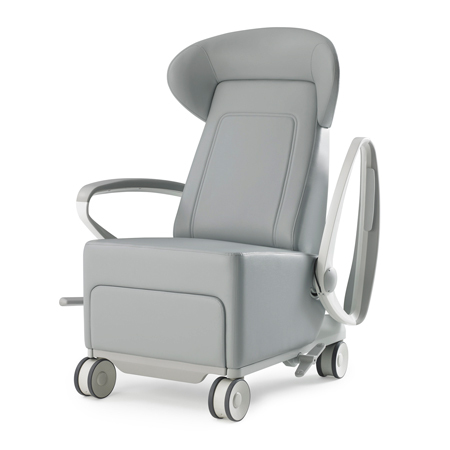 Caregivers find Ava responsive to their needs, with thoughtful features like pivoting arms, dual-sided controls, and lay-flat recline. 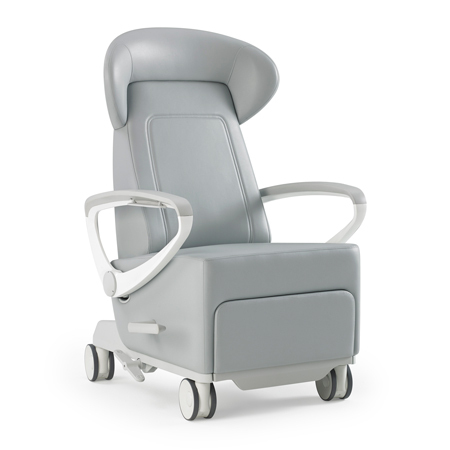 A departure from the typical recliner, Ava's lean form is designed to operate easily even in smaller patient rooms, without compromising on comfort or the interior size of the seat. 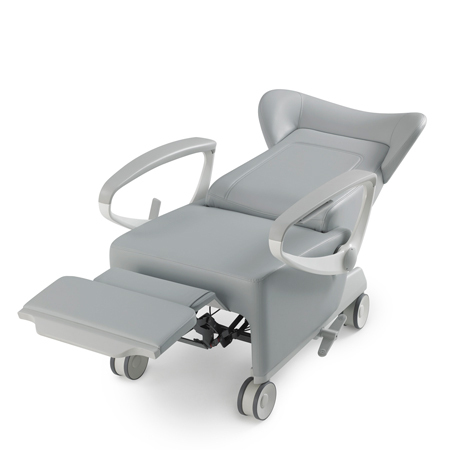 The wingback model provides a feeling of security, while a reverse recline and independent footrest controls increase comfort. Improved kinematics provide a back pivot location that more closely mimics the body's movement. 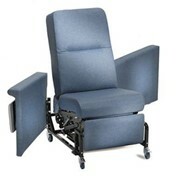 Side tables enhance functionality, while oversized twin wheel casters improve mobility. 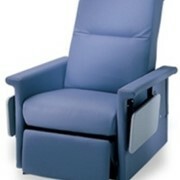 Wingback model enhances comfort by providing a headrest and creating a secure, cradled feeling. 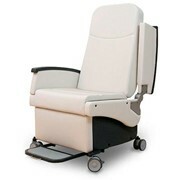 Open arm design enhances cleanability. 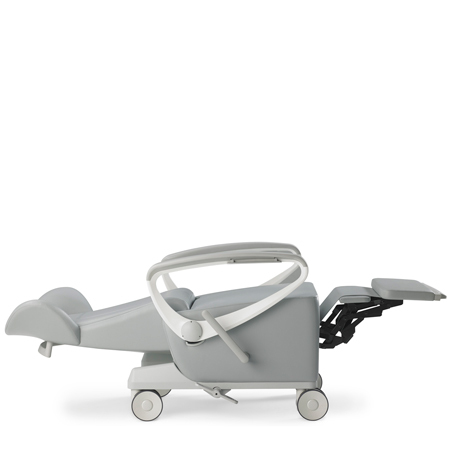 Pivioting arms allow caregivers better access. 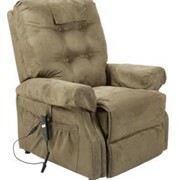 Dual arm controls allow for recline activation from either side of the recliner. 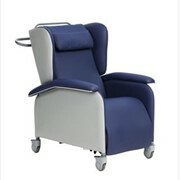 Infinite back recline and independent footrest controls allow users to find a comfortable position. 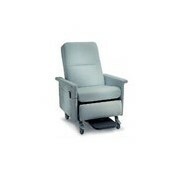 Standard casters, or optional central brake and steer enhance mobility of recliner. 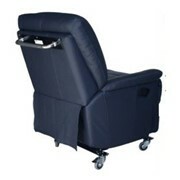 Dual arm controls for recline activation. 127mm casters, all swivel with front brake. 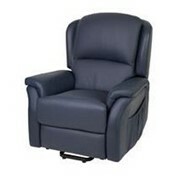 Infinite back recline from upright to reverse recline.